Today marks what would have been Lester William Polsfuss, more commonly known as Les Paul, 96th birthday. Many of you may only think Les Paul is the name of a Gibson guitar, when in fact Les Paul was one of the most influential guitarist ever. Besides being a master at the instrument, Les pioneered the modern solid body electric guitar, which we all know made Rock 'n Roll possible. Les Paul lived from June 9, 1915 until August 12, 2009, just a few short years ago. Endorsed and later immortalized by Gibson, Les Paul developed one of the most popular guitars of today, the Gibson Les Paul. Les Paul will live forever as one of the most recognized names in music. 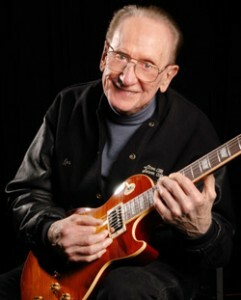 Read more about the life and legacy of Les Paul in this article by Gibson.com.